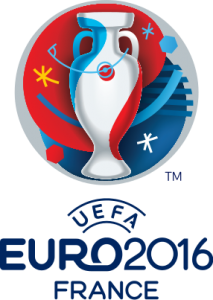 Euro 2016 starts today. Has it been four years already? To celebrate, we’ve scoured the internet for recipes from previous winners. Sadly, no fish and chips for England or Wales just yet. Garlic prawns from Spain. Back to back winners in 2012 and 2008, Spain is world renown not just for their magnificent football but also for their tapas. The word tapas means ‘cover’ or ‘top’ in Spanish because these small dishes of simple deliciousness were once placed over pint glasses to keep flies away from the lager inside. Tapas is now ubiquitous in Spain and the government are currently seeking UNESCO world heritage status for this national dish. This recipe from BBC Food highlights everything amazing about tapas…it has few ingredients, lots of flavour, and when you eat these tasty prawns you can imagine yourself relaxing on a beautiful Spanish beach. Purchase raw king prawns. Greek inspired swordfish. Greece shocked the world and won Euro 2004 as outsiders after qualifying for the tournament for only the second time in their history. They beat Cristiano Ronaldo’s Portugal in the final in the Portuguese national stadium and history was made. Perhaps more famous for their food than their football, Greek cuisine is undervalued and makes excellent use of what’s available in the Mediterranean and what can grow locally. Fish and seafood spring to mind when we think of Greek holidays. Lemons and tomatoes bursting with sunshine and taste that you just can’t buy back home. This recipe (also suitable for the barbecue) makes use of traditional Greek flavours like oregano, garlic, lemon and parsley. Purchase swordfish steaks. Mussels from France. Two years after winning their first World Cup, Didier Deschamps and co went on to win the Euros in 2000. As well as giving the world players like Zinedine Zidane and Thierry Henry, France also gave us moules marinière. Everybody’s favourite starter, this recipe from legend Rick Stein is perfect for the footie this summer. Purchase mussels. Trout from Germany. It’s painful to remember but England came close to winning Euro 96, knocked out (on pens, sigh) in the semis by eventual winners Germany. If Greece is better known for its food, Germany is certainly best known for its football. But this German dish for trout is elegant, unique and very healthy. Purchase trout fillets to make this recipe.